Revolution is a resource management/bidding game where players take on the roles of revolutionaries trying to take over a city. The game is designed for three to four players and set up is a breeze. Each player chooses a color and takes all the influence cubes of that color. The board is simply laid out within reach of all players. The board has two functions in the game. One, it has a support track that runs along the outside rim of the board. This is the victory track. The person with the most support takes the city. The rest of the board is dedicated to the buildings representing the various power structures within the city. Each building has several spots for influence cubes. The player with the most cubes in that building at the end of the game gets the support of that building. The complexity of the game is found within the bidding system. At the beginning of the game. 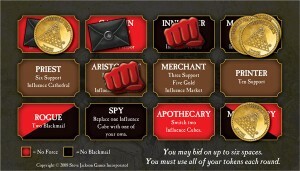 Each player gets five gold with which to influence various people within the city. Each individual provides something. The services they offer range from providing a different type of currency such as force or blackmail, support, to influence in one of the many building in the city. The choices you and the other players make in the initial round of bidding determine what type of resources you will have in the next round. These resources and how they can be used are where the complexity arises. There is gold, blackmail, and force. One blackmail will beat any amount of gold and one force will beat any amount of blackmail. In addition, some of the people within the city are immune to certain types of resources. For instance, the general is immune to force, the innkeeper is immune to blackmail, and the rogue is immune to both force and blackmail. As you can see, gold isn’t useless. It just requires finesse. The game ends when the last open spot in a building is filled during the resolution phase. The resolution phase is completed and then scoring begins. Each force a player has at the end of the game is worth five points, each blackmail is worth three, and each gold is worth one. The support for control of buildings are awarded at this point and the player with the most support wins. The only problem I had with Revolution is that there can come a point in the game where there is no way for a player to come back into the competition. The player will get gold and make bids but have very little agency left. this then leaves that player in a position where the game can become a chore. Taking this into account, Revolution is still a solid game worth adding to the library. The rules are easy to pick up and are printed on the bidding shields in case you forget. Set up is simple and you can play a full game in thirty minutes to an hour. The bidding mechanic is fun and arguing with your fellow players about which revolution you happen to be taking part in is hilarious as well. On top of all this, it retails for $39.99 or less on Amazon. What’s not to love? I met up with friends for a board game day and they introduced me to a new cooperative dice game by Z-Man Games entitles Pandemic: The Cure. The premise of this game is that each player is a member of a CDC team that is working to stop the spread of four deadly diseases across the globe. The players work cooperatively to halt the spread of each disease while working feverishly to collect samples and work towards finding a cure. 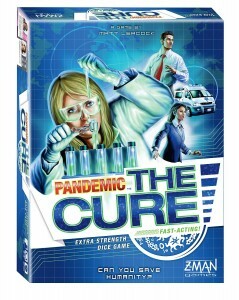 The players win the game when all four diseases are cured. The players lose if the infection track reaches the end, the outbreak track reaches the end, or there are no more infection dices in the infection bag when it comes time to draw for infection. As you can see, there are a lot more ways to lose this game than win. I love how easy this game is to set up and play. The two tracks which are racing towards the players losing the game are a nice looking plastic ring which also serves as a staging area for infection dice during the game. The ring snaps together easily and you pop in the markers on each track and the board is set up. You place the cards around the ring representing the world in six sections. Each card has a number and a rating which indicates how many of each type infection can be in that area before it spreads nearby. the infection dice are rolled to see where the initial infections are for the beginning of the game. Each player then randomly draws a card to determine their role on the team and collects the dice that goes with that role. All of this can be accomplished within ten minutes if it is your first time playing. Each players turn is straight forward. They pick up the dice that goes with the role that they have picked and roll them. Each role’s dice have a certain amount of each action type on each face. 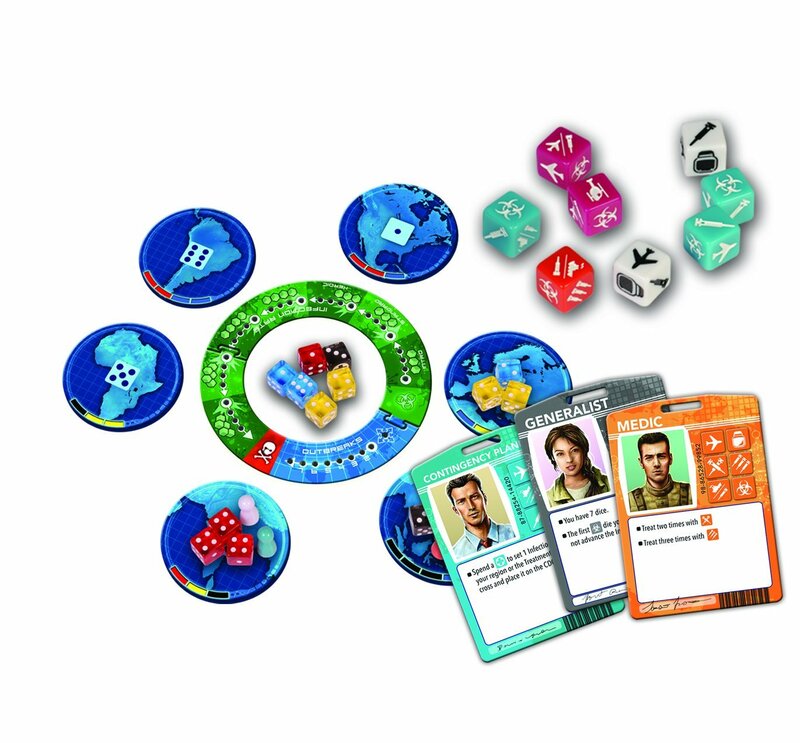 The player can choose to roll as much as often as they wish. Each die that comes up an infection die moves the infection counter up one and then can not be re-rolled. So, each time the player rolls the chance for infection increases. There is another result that ties up dice as well. This is called sampling. The symbol is a little bottle and it allows the player to pull an infection die out of the game. the player then can roll the sample dice of an infection type. If they can roll a 13 or better, that infection is considered cured and is easier to clean from an area. Until that infection is cured though, the die holding the sample is unavailable. Players are able to move samples around so that one player can get enough samples so that they have a better chance of a cure. If the group is lucky enough, There is a role that only needs an 11 or less to find a cure. Whomever gets this role is then given as many samples as possible. The exciting part of the game is the infection phase. 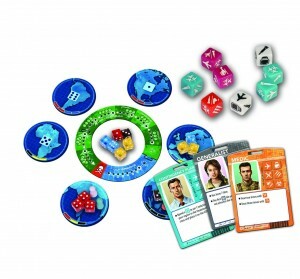 At the end of each players turn, they reach into the infection bag and pull out the number of dice as indicated by the infection track. Each time a player reaches into the bag could spell the end of the game based on what color die comes and where it goes. The wrong color at the wrong time easily triggers an out break that can cause a loss as one outbreak triggers another and another. Pandemic is a solid game. It is easy to set-up and learn, the game play is fast and exciting, and there is a lot of replayability. from my perspective there are only two downsides to this game. The frustration level can skyrocket. I played three games in quick succession and none of them were wins. It was a bit disheartening. The game easily falls into quarterback mode. If there is a player that is more familiar with the game, it is very easy for them to make recommendations that carry more weight than newer players. Which makes going against their advice more difficulty. It retails for $49.99 and is really worth the money. It is an excellent addition to any gamer’s library. If you are a gamer, there is a small convention that I would like to tell you about. It’s called Big Bad Con. Big Bad Con is held in Oakland, California during the month of October. This year, the dates for Big Bad Con are October 16th through the 18th. the convention has been running for four years and been Sean Nittner of Evil Hat Productions fame. He has ran the convention as both a way create a space for gamers on the west coast a place to gather and have fun and to support several great causes. Big Bad Con is a charitable event that supports Doctors Without borders, Child’s Play, and the Alameda County Community Food Bank. I am bringing this this neat convention to your attention for several reasons. First, I would love to go myself. I have never been able to attend Big Bad Con as the cost of flying to California is a bit outside this bear’s price range, but I have heard nothing but good things about the convention. It draws from a pool of gamers and designers that are both supportive and generous with their time and activities which creates a space that sounds electrifying. In addition to this, I belong to several groups for LGBT gamers, and all reports that I have heard from these groups have indicated that Big Bad Con creates a space that is both welcoming to those of us in the community as well as safe for us to be ourselves. From this bear’s perspective, this is something to be cherished in the gaming community and encouraged. Finally, Sean Nittner is running a Kickstarter to help make Big Bad Con both affordable for attendees and sustainable for him as the host. There are a range of support levels built in with the $40 mark giving you a pass to get into the convention this year. 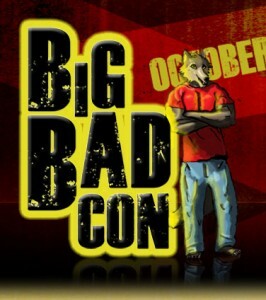 So, If you are free in October for a weekend of fun gaming with great people, I recommend checking out Big Bad Con. You could swing by the Kickstarter and get your badge taken care of now. If you like running games at conventions, Big Bad Con has their events submissions open as I type this. First, I have to admit that there were two reason I was going to see this movie. First, I am in that mode where I would most probably go see Chris Pratt in just about anything. Second, the trailer showed a scene of Chris Pratt on a motorcycle hunting with raptors. There was no way I was not going to see this movie. The premise of Jurassic World is daily simple. It is many years after the the critical failure of the first park. A new company has taken over the ideas and design and has been able to get a new park up, running, and making money. Jurassic World has people flying in from all over the world to pet dinosaurs and see them roaming in the wild. Gray and Zach are two such visitors. They are being sent for a weeks vacations at Jurassic World which is overseen by their aunt Claire. The two kids are being shipped of to avoid the dirty business of their parents finalizing a divorce while they are gone. The other point of view character, Owen, is portrayed by Chris Pratt. He is an ex-Navy officer that works with the raptors and containment of the other dinosaurs. Gray and Zach are left to the cold care of Claire’s personal assistant and provide the audience with a regular park attendee’s view of Jurassic World. The behind the scenes workings are put on display through following Claire and Owen. The key to the crisis at Jurassic World is that the scientists have designed a new attraction. They have combined the genetics of various dinosaurs to create something larger and more terrifying. In the vein of the original movie, this is where everything goes pear shaped. Indominous Rex, we later find out, was an experiment to see what parts of dinosaurs could be spliced together reliably to create something better. In true movie fashion, they created something better but not something they could control. It turns out that when you set out to create a terrifying monster, success is not the best outcome. If you come in to Jurassic World expecting any semblance of reality, you have chosen to see the wrong movie. Jurassic World is designed to fit the mold of summer blockbuster popcorn movie and it succeeds at this goal admirably. The main plot plays on the current fears at large in the imagination of the general public. GMO’s, Corporate Greed, Secret Military Experiments all abound within the confines of Jurassic World. The face of the Military/Industrial Complex is played by Vincent D’Onofrio as Hoskins. D’Onofrio is wasted in this role as it is nothing more than a card-board cut-out villain that can be found in any number of summer blockbusters. Jurassic World is very much a cut about any of the other sequels in this franchise. The four main characters though somewhat light in the character department are likable and made you want to root for their survival. The presentation of the raptors as more like hunting dogs plays to the heart strings of the audience which makes the two turns at the end of the movie both more powerful despite knowing they are coming. The set up for the next movie in the franchise is handle in much more deft fashion which I always appreciate. 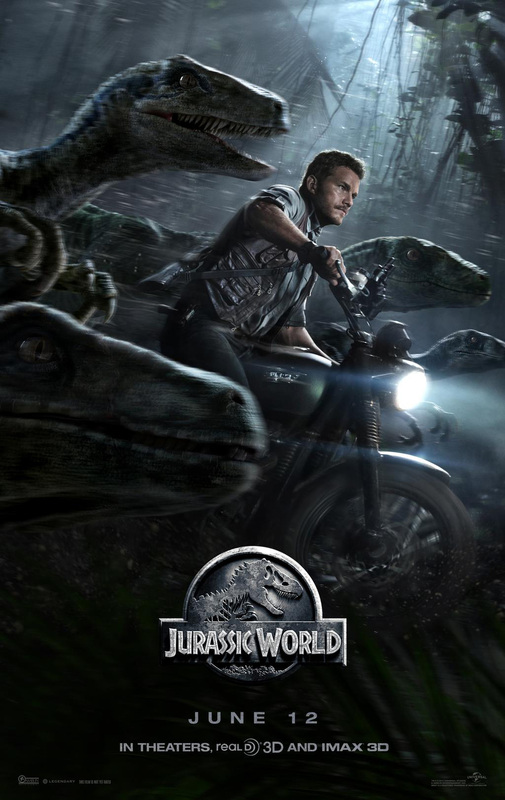 In the end, Jurassic World is an enjoyable movie to watch at a matinee screening. It has plenty of dinosaur on human action that makes for a good action movie with characters that you want to see survive despite making stupid choices in a park filled with live dinosaurs. The only down side is that Chris Pratt never takes his shirt off. I haven’t always enjoyed running but that first sentence is true of this geek bear currently. It was about three years ago when I began the journey that would take me from being a big bear that couldn’t run and thought the only reason to run was to escape from things to a more svelte bear that runs almost every day. As I began to run, I started searching for things that would make a laborious task more entertaining. I was lucky to discover Zombies, Run! Zombies, Run! is a running game that works for all fitness levels. At it’s heart, it provides a series of missions set in the zombie apocalypse in the United Kingdom. The player takes on the the persona of Runner 5. The game is played in missions. Each mission takes from 30 minutes to an hour based up the players choice of how many songs they wish to hear between story pieces. As you run or walk, the story plays out around Runner 5. Along the way, you collect building materials and supplies that can be used in your home base, Able Township. Zombies, Run! is currently in it’s fourth season. In this season, Six to Start and Naomi Alderman have made a bold choice and made Zombies, Run! a free to play game. you are able to download the app on for your Apple or Android device and are given access to the story mode of the game. This means you have access to the all the missions of the game which unlock at a speed of two missions each week. A season pass is available for $7.99 which gives one access to the race missions which are helpful when running a 5 or 10 K race. I addition to the race mode, you gain access to Air drop missions which allows one to pick a place on the map in the real world and run a mission to and from this point to earn supplies to be used at Able Township. You also gain access to the interval runs which are great for training for the longer races as well as improving your speed while running. I really liked that this app works well with any fitness level. You are able to use the app while taking a walk out in the park or while working out on the elliptical machine at the gym. There is also a zombie pursuit switch in missions. This will throw zombies at you between story portions which require you to move faster to avoid being caught.The GPS tracking works best when the app is being used outdoors. It has other options to track activity when you are in doors or using a machine at the gym. I run from 5 to 7 miles a day and like that it will generate a map of my run that includes what song was playing at different points along the run which is linked to how well I was doing at that point in the run. It allows me to look at the data to determine if I was distracted or if the song was to mellow for that point in the run. I only have two quibbles with this app. I had already paid for a Season Pass during season three. This gave me access to all of the mission types and the story missions as well. In season four, I paid for my season pass, and I have to await the release of next two missions each week. I know this is how the release schedule works but I had hoped that paying for the season would have allowed me access to all missions much in the same manner that Netflix gives all episodes of it shows once hey are ready. My other quibble is with the social function of the game. once you complete a mission, you are able to share the mission on Facebook or Twitter. The Twitter function works well but the Facebook share is just a picture with no information about the mission you completed. In addition, I would like to be able to add Zombies, Run! friends to my Able Township so that we could share resources for our towns. As I said, these are minor quibbles. I love the game and really enjoy using it when I run. The story line that is presented through the missions presents the runner with a world that is diverse in the characters that you run into throughout as well. There is also a nice article on Naomi Alderman where she talks about being a woman of size and designing an exercise game which I recommend you reading as well. You can find it here. I am a fan of the Pathfinder game from Paizo. It uses the open gaming license that was implemented during the third and 3.5 edition of Dungeon & Dragons. 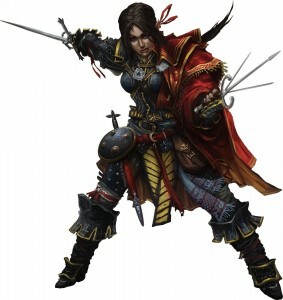 If you are a table top role playing gamer, you have heard of Pathfinder. Pathfinder Unchained is one of Paizo’s newest releases that focuses entirely on the rules of the game. The purpose of the book was to collect the different rules ideas that designers had came up with for Pathfinder but hadn’t really found a home in prior books. these rules are necessary to the smooth function of the game but still gave players and GM’s more dials to utilize in their games. The rules presented throughout Pathfinder Unchained allow for fine tuning different aspects of the game as well as design tools to help with your game. These new rules provide both the ability to down play the complexity of Pathfinder or take your game and turn it up to 11. The production values on this book are high. Pathfinder Unchained is a 254 page full color hardback book that retails for $39.99. The artwork spread throughout is uniformly good with a few pieces that spectacular. The layout is well done and the table of contents and index are helpful in locating exactly what you need. This is very important in a book that covers so many variations on the rules. If you only one particular thing from the book, It is nice to be able to find it quickly. Jirelle – a piece of interior art from Pathfinder Unchained. The reason I picked up the book was the work that Paizo put into the four base classes. In Unchained, Barbarian, Rogue, Monk, and Summoner are revisited and reworked to be made much more accessible. I am a fan of the Barbarian class and tend to play one when I need a break from playing a cleric. The major barrier that I faced when doing this was the constant recalculation of almost all of my stats when raging. Added to this complexity was the use of any number of combat feats which would increase the amount of work that went into playing a barbarian exponentially. The changes made to Barbarian allows for a ratcheting down of the complexity without decreasing the effectiveness of the class in play. This isn’t to say that there isn’t a bit of paperwork to keep track of because this is far from the case. Instead of calculating everything based upon ability score changes from rage, the bonuses are straight to the relevant combat stats which requires no intermediary steps. With this in place, the use of combat feats is simpler to process and a little chart can be made to keep track of changes based upon what you are using at the time. I like the change and look forward to using it with my next Barbarian. The changes to to Summoner are also my favorite. The Summoner always had the feel of a Pokemon trainer to me with out really taking into account alignment and where the eidolon might come from. The main changes made to this class are to the eidolon. A Summoner now chooses a sub-type for their eidolon which in turn provides a menu of options. The Summoners spell list was also revised to address imbalances that were inherent in the original list. The other addition in Pathfinder Unchained that I really like is the scaling magic item. I’ve personally made these type of items up on my own for games I have ran in the past. They allowed me to create a connection to items for my players and give them reason to keep the item around. The rules presented in Unchained address how to create a scaling item and how to ensure that the addition of such items doesn’t unbalance the game. This is a valuable piece of information as I know that I tended to create overpowered items when I did this on my own. Included are example items for all levels with a varying degrees of usefulness. The guidelines for creating and implementing these types of items are easy to use and something that I will be using when I run again. I’ve really only touched on a few of the neat ideas that are presented in Pathfinder Unchained. Within the pages of this book you will find a system that uses stamina points to allow fighter types to perform combat tricks, a way to remove alignment from the game, a way to streamline spell choices at high levels, are just a few of the options I have not mentioned. 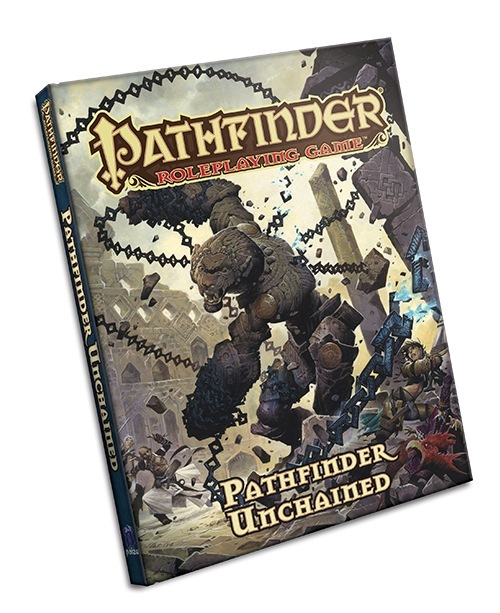 If you are fan of Pathfinder like I am, pathfinder Unchained is well worth the investment of your time and money. A beautiful book full of great ideas.